Linh Cinder, a young cyborg woman (half human/half robot) is the best mechanic in New Beijing, but her abilities aren't appreciated by her demanding stepmother who thinks her husband's death and their subsequent poverty is Cinder's fault. The fact that cyborgs are discriminated against doesn't improve Cinder's situation or her social standing. 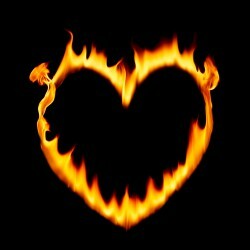 So when the gorgeous Prince Kai comes to Cinder for help, Cinder doesn't think she warrants his faith or his affection. Cinder is a wonderful character. She's tough yet sensitive. Smart but naive. Loyal but with a bit of a temper. Her friendship with the quirky robot Iko is also a lot of fun to read about. The reader can't help but feel outraged at how unjustly Cinder is treated. Personally, I hated her stepmother! On the other hand, Prince Kai is a charming, interesting person. The setting, a far-distant New Beijing, is exotic and unique. But there were a few things that kept this book from getting a five-star rating from me. The first was the whole Cinderella theme which, in my opinion, fit the book as well as the glass slipper did the ugly stepsister's foot. That is, it didn't fit at all. Yes, there are a few similarities, but overall, the book has nothing to do with the original story. Unfortunately, because I'd been told over and over again that this was a sci-fi retelling of Cinderella, I'd expected something entirely different. To me, the book would have been improved if the readers weren't bludgeoned with the theme and kind of came to it on their own. The story is wonderful without being forced into a mold that doesn't work for it. The second thing that bothered me was the ending. Like so many series, the end of the first book leaves the reader hanging. Again, I am fine with that, but a little warning would have been nice. I hadn't expected the story (especially a YA story) to end on such a low note. 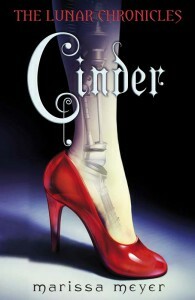 In many ways, Cinder is an excellent book because it is a girl-oriented science fiction story (a rarity). The plot and characters are wonderful, but readers shouldn't expect this to be a retelling of the original.